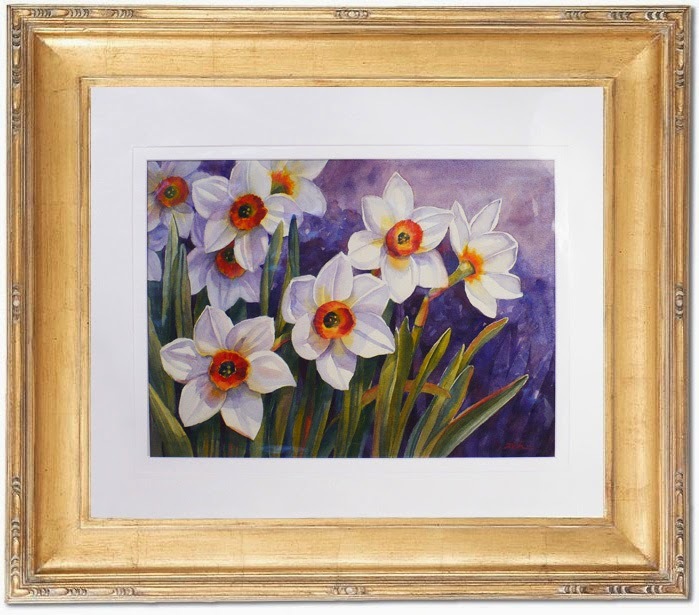 Radiant white daffodils with colorful trumpets. 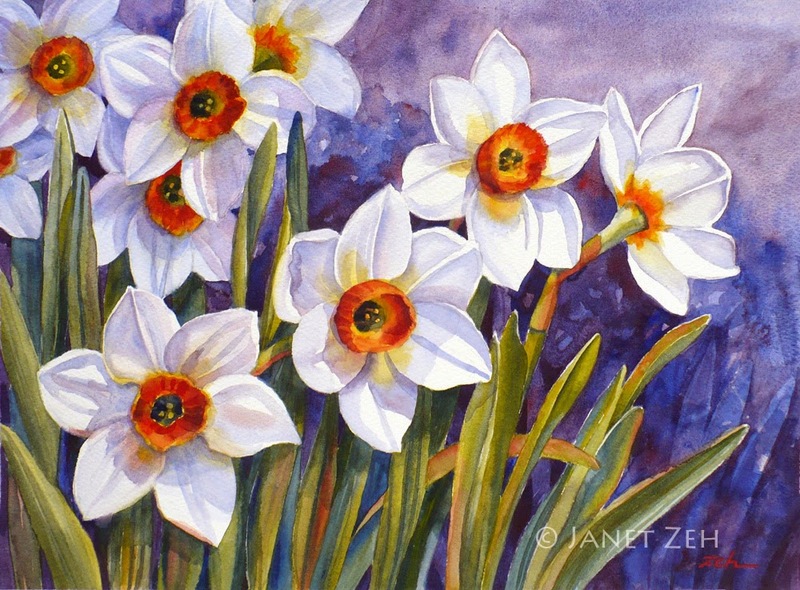 The pretty narcissus blossoms in my Spring garden inspired this piece. 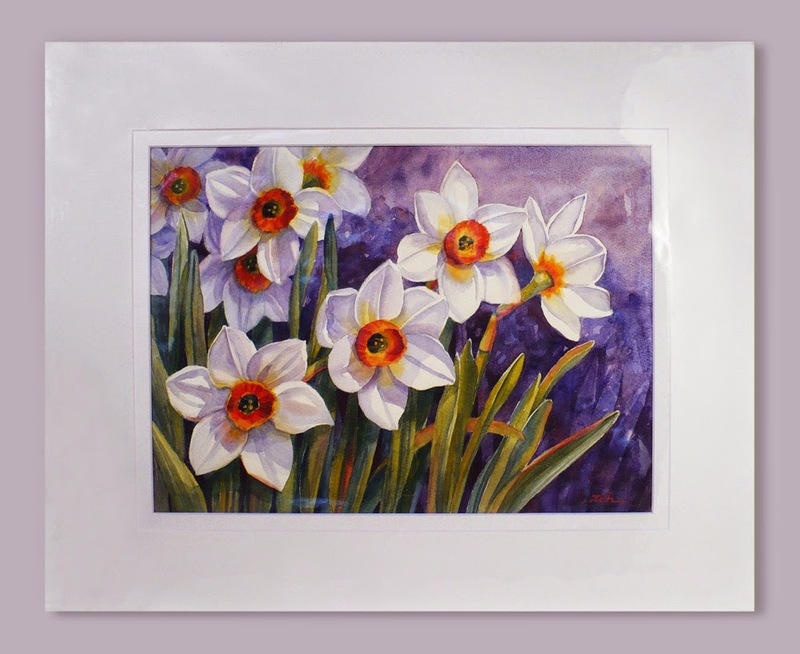 It will add a touch of bright color to your wall! Painted with permanent professional colors for lasting beauty. Acid-free white mat and backing with 16x20 inch outside dimensions. Protected in a clear acrylic sleeve for shipment. 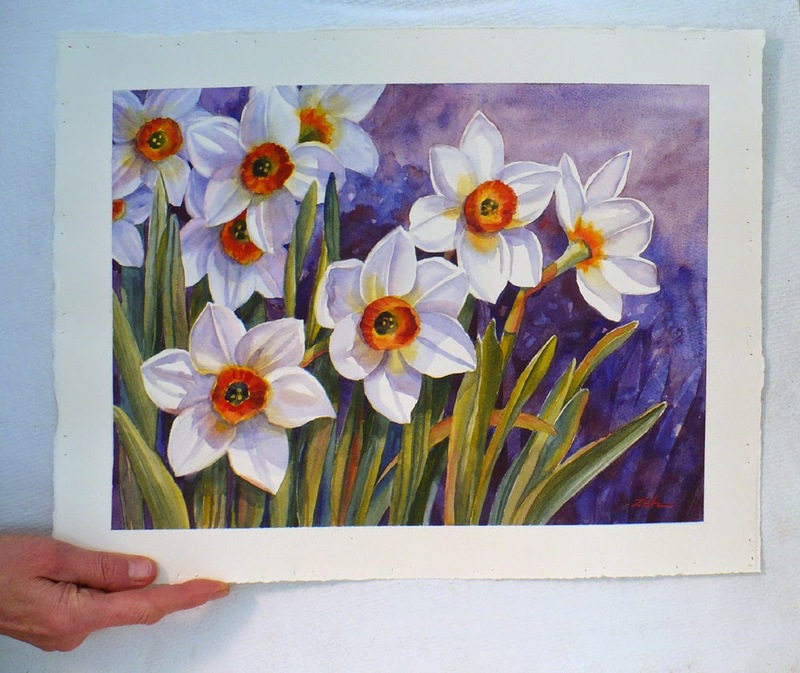 and the level of detail is amazing for the medium." ~Stephanie T.